^^^ beat me to it Colts. Finally, "Crash" is gone hopefully. It's funny, because Magnussen could very well end up faster than the McLarens this year. 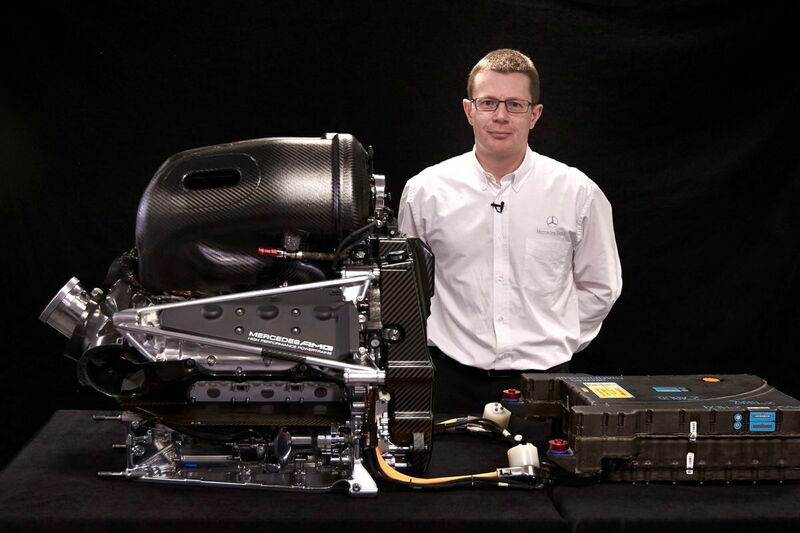 Good, Kmag earned it during his year with McLaren, I really hope Renault has gotten their power unit to a competitive level. With Venezuela's economy in shables with oil at ~$30/brl Pastor's best opportunity may be a Uber driver. Wonder how many passengers will give him a 5? After the inevitable crash? ... Probably not too many 5's. So long Maldonado. You'll always have that win. Pay Drivers get what Pay Drivers deserve . . . Besides being a hack driver that crashed alot of F1 cars, Pastor was apparently accordning to grid talk also a pretty vile person in general. I welcome this news of the token system being gone for 2017. They mention it might cause a potential arms race for engine development and I say that is awesome and bring it on. Isn't that what F1 is all about? Open up the rule book! I want 1.4 litre 1500-hp engines and near infinite downforce. Refueling (is that coming back next year? I thought I read that somewhere). Whatever! Let's see some ingenuity and peak engineering skill. To hell with fuel efficiency and "green racing"... That's Formula E stuff. Time to go big. ^ No refueling in the next few seasons it seems. Deemed too risky/unsafe, IIRC. I would like to see something back to over 1000-1200hp for sure and lots of crazy aero for down force. Looks serious. I'd love to see Alfa back in F1. Which is stupid. There is a VERY easy solution to this issue. NO work can be done to the car while fueling is going on (ie no tire changes), and the car can NOT be dropped from the jacks until the fuel rig is removed. It would bring back the fuel strategy and add a completely new element to the sport. ^ Not a bad idea. Would definitely eliminate the 2.7sec Ferrari pit stops. BMW's Paul Rosche is on today's Wiki's "Did you know"
Although not a household name, Rosche is responsible for many extremely successful BMW motors (BMW M1, multiple BMW F1 engines, McLaren F1,...). Nice to see him get a little Internet limelight. Well it appears there will be no more American in F1 now. What a shame. I really wanted to see a full season of Alexander Rossi driving for Manor. Especially with the new Merc engine. Too bad. He's now looking for a seat in IndyCar. No chance to get back into F1 if he goes to IndyCar. WeYeah I saw that. I hope he doesn't go Indy car and tries for a reserve seat instead one more time. If Rio doesn't perform well maybe he will get dropped mid year. Probably not though being a pay driver. If memory serves, Rio had a pretty decent career thus far in single seaters (GP2) plus as you state, he is a pay driver with a country's backing so he should be safe this season. Looks like young Rossi is getting ready to sign with Andretti in IndyCar. Another lost opportunity. Unless you have good backing, it's almost impossible to get into F1. Even Magnussen got his seat due to money. The timing seems odd. If they wanted to replace him, they should have done so at the end of last season. Makes me think that things are not going well, although testing just started. Formula 1 bosses have voted unanimously to deliver a dramatic overhaul of the qualifying format for the upcoming season. Following a meeting of the Strategy Group and F1 Commission in Geneva, the format change has been voted through to spice up the show. Qualifying will remain as a one-hour session, split into three segments, but drivers must be on track throughout each part until they get knocked out. Details on how the new qualifying format will work exactly have yet to be decided, but the general outline has been agreed. Q1 will now last 16 minutes and after seven minutes the slowest driver will take no further part in the session. Every 90 seconds thereafter, the slowest will be knocked out until there are only 15 drivers remaining. After a short break, Q2 will commence and last 15 minutes with the slowest driver eliminated after six minutes. As was the case in Q1, the slowest driver at the time will be knocked out at 90-second intervals until eight remain. Q3 will last 14 minutes and see the process repeated again with the slowest taking no further part after five minutes. The next five drivers will drop out at 90-second intervals leaving the final two drivers to fight it out for pole in the final 90 seconds. The change will require ratification by the World Motor Sport Council, which next meets on March 4. Okay, so this will definitely change people's tactics. Better to do a super quick lap at the beginning to avoid being bumped out. This will also force drivers to run more laps. So you might get to Q3 but use up all of your tires? Formula 1 bosses have unveiled a new set of bodywork changes for the 2017 season, which are set to result in faster and more dramatic-looking cars. As Autosport revealed on Tuesday, new rules will dictate cars will be three seconds per lap faster, with teams granted an extension of the cut-off date to April 30 to finalise the plan. Under the proposals, the front tyres will increase from 245mm to 305mm in width, with the rears widening 80mm to 405mm. The overall width of the car will increase from 1400mm to 1600mm while there will be a reduced exclusion zone allowing for larger bargeboards. The suspension track will be increased from 1800mm to 2000m and the front wing span will grow to 1800mm. The size of the rear wing will change, with the width up from 750mm to 950mm but the height decreasing by 150mm. To accommodate the changes, the weight limit of the car has increased 20kg to 722kg, plus the weight of the tyres, which is tabled at an estimated 5kg. "New bodywork regulations have been adopted to create more exciting cars, delivering additional downforce to increase speeds and lower lap times," said the FIA in a statement. "The FIA, teams and official tyre supplier will continue discussions on the best solution for testing of the new tyres required as part of the regulations." Cockpit head protection is also set to be introduced to protect drivers from debris from next season. The FIA said stakeholders are working to "make this a reality", marking out the halo concept as the preferred option. However, the governing body said other options such as transparent cockpit protection will continue to be evaluated. With regards finding a way forward with the cost, performance, noise and supply of power units, the FIA said "significant" progress has been made. Further work is planned with the FIA saying it aims to reach an agreement by 30 April. The F1 Commission has decided to introduce a Driver of the Day award in a bid to increase driver engagement. 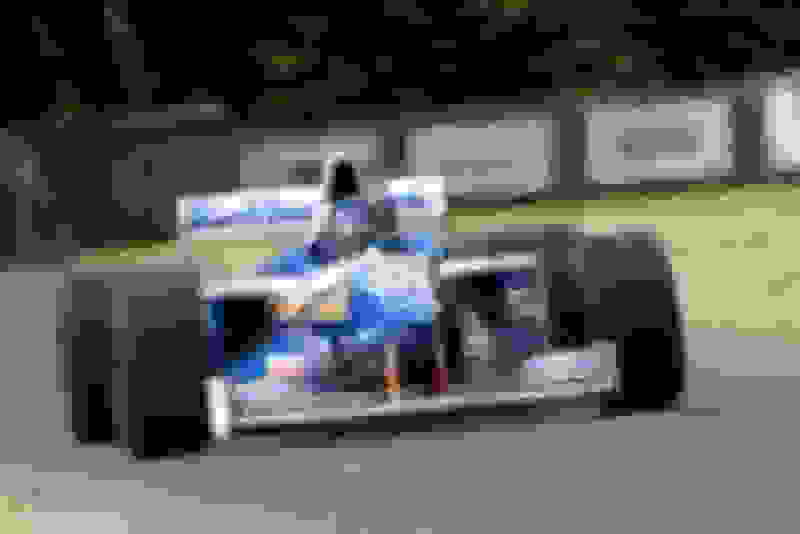 Viewers will be asked to vote during a grand prix, with the winner announced as part of the broadcast after the race, where the driver will receive some form of prize. As also outlined on Tuesday, a dramatic overhaul of qualifying has been confirmed by the FIA. Also, sounds like qualifying will be revamped for this season. Rather than the 3 session system, it'll be a driver eliminated every 90 seconds; after a set period of running. The race you knuckleheads, the race is what's boring and wrong. Why won't they address the real problem instead of changing all the incidentals? I almost think qualifying will be more interesting than the Big Show now. Oh well. Maybe next-next year will be better. I cannot believe F1 is going back to 2m wide track cars again. Always thought they looked far better than the 1.8m cars (since 1998). Also the wider bodywork and tires, seems like all this FIA drama over rules and regulations got to them and they just threw the rulebook out the window and are reverting back to the 90's spec cars. Newey must be loving this news. This is a BIG game changer and will result to more downforce and make overtaking easier since the narrow track cars were much more difficult to deal with being behind someone with more complex airflow. Wonder if the current complex front wings will survive? I think the qualifying changes will make things more unpredictable. This will result in a more mixed up starting grid, which could lead to more exciting racing. Not that I agree with this thinking, but it will definitely spice things up for the "show." I really like the new car specs. Can't wait for some renderings to start showing up. But please no cockpit protection. qualifying was ALWAYS the best part of the weekend and that won't change but the FIA is fixing something that didn't need fixing. It was the one part of the weekend they got right. Hoping the new cars will look as good as this, one of my fav F1 cars of all time.